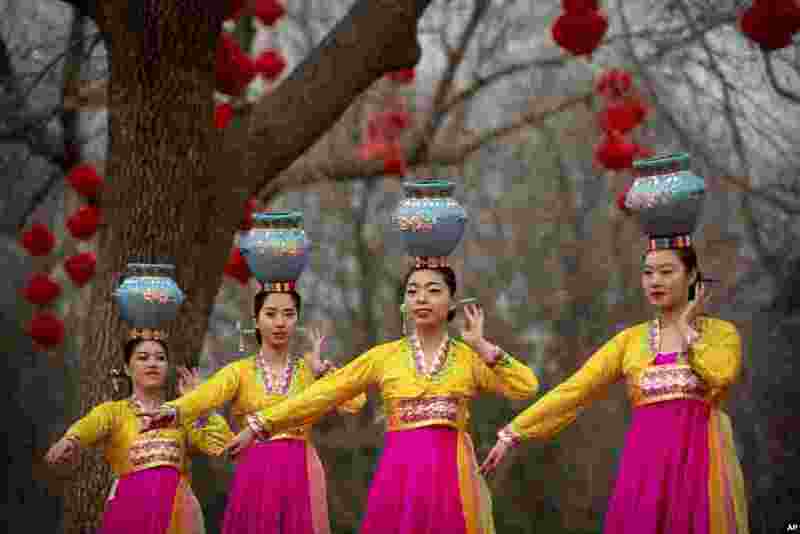 ١ Dancers in traditional ethnic clothing perform at a temple fair at Longtan Park in Beijing, China. Chinese people are celebrating the second day of the Lunar New Year, the Year of the Pig on the Chinese zodiac. 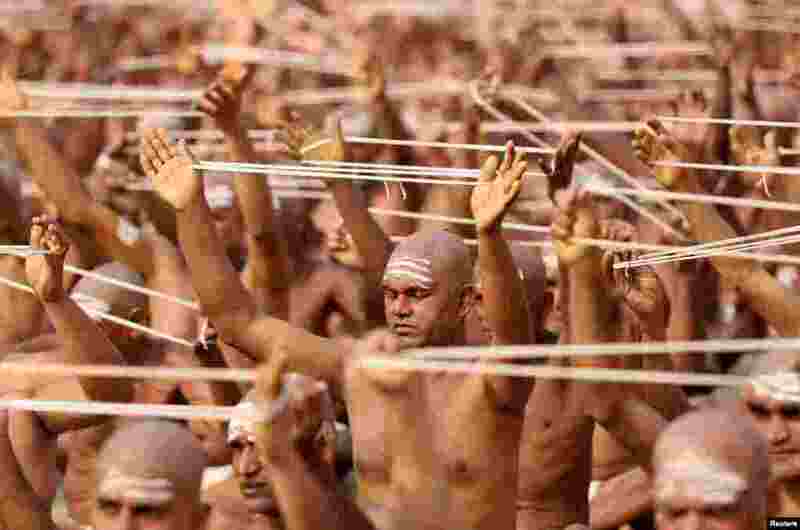 ٢ Newly initiated Naga Sadhus or Hindu holy men of the Juna Akhara attend the Dikasha ritual on the banks of the river Ganges during the ongoing "Kumbh Mela", or the Pitcher Festival, in Prayagraj, previously known as Allahabad, India. ٣ Venezuelan military forces block the Tienditas Bridge, in the border between Cucuta, Colombia and Tachira, Venezuela, with containers. 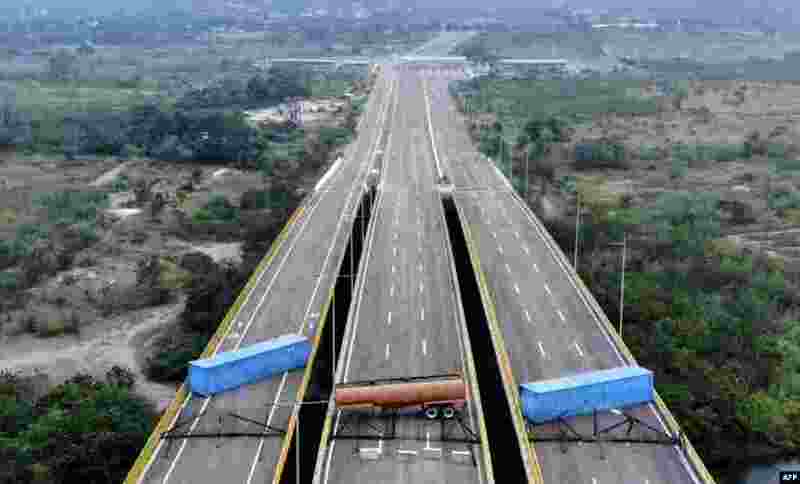 Venezuela blocked the bridge ahead of an anticipated humanitarian aid shipment, as opposition leader Juan Guaido stepped up his challenge to President Nicolas Maduro's authority. 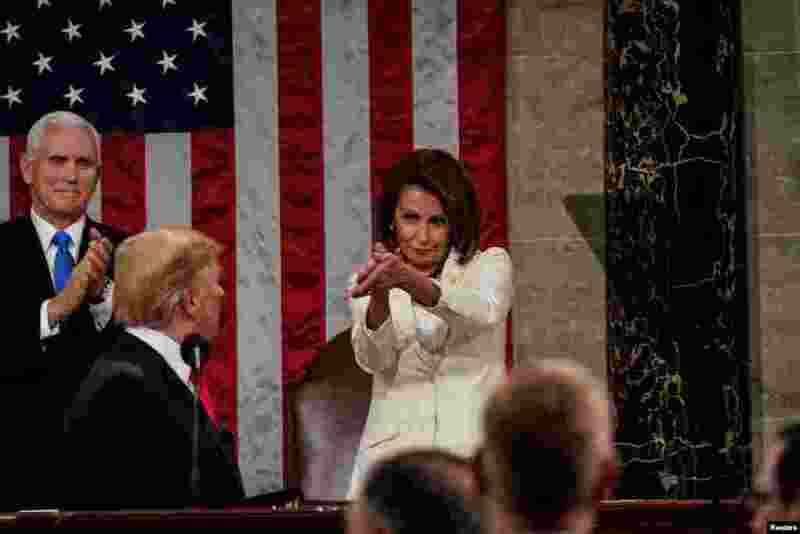 ٤ President Donald Trump arrives to deliver the State of the Union address, with Vice President Mike Pence and Speaker of the House Nancy Pelosi, at the Capitol in Washington, D.C., Feb. 5, 2019.